Last week, I wrote about our Summer Bucket List. It was the perfect pre-curser to our staycation this week. Not only did we get a few of our family experiences checked off the list (and we had a blast doing them! ), I was also able to knock off a few of those pesky "to-do's" that have been sitting on my other list for a while. I think everyone has one of these "to-do" lists -- you know, the small little fixer-uppers, or the non-priorities? These tasks always get bumped to the bottom due to time, money, laziness, forgetfulness, or the like. 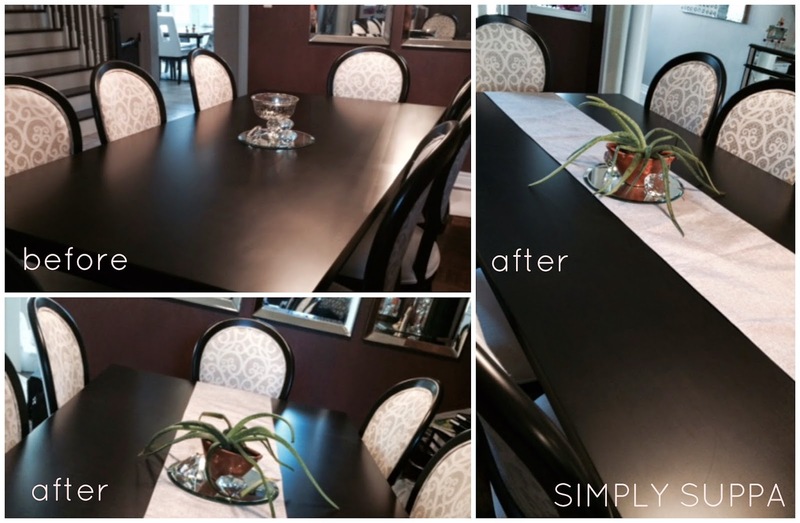 I had quite a few home make-over projects on my list, and I still do. These include clean the basement, organize the closets, wash and store all our winter jackets, buy an end-table for the family room -- they hardly compare to strawberry picking or spending the day at Canada's Wonderland. Sigh. But alas, these little tasks are also the ones that drive you (or me) nuts. So this week, I decided to cross a few off the list and was able to get it all done in one place -- Linen Chest. If you haven't been to Linen Chest yet, it's like a suburban department store with everything from bedding to small appliances, decor and bath products. And they probably have the most gadgets and trinkets I've even seen in a store. Honestly. The quality and selection is pretty outstanding, and the price points are great (they actually have a price-match guarantee in the store -- if you find the same product within a year of your purchase at another store they will honour that price!). Here's what I was able to get accomplished in about an hour, and less than a hundred bucks! And bonus -- 3 things off my list. We LOVE, repeat, LOVE our Le Creuset pot. We use it so often it doesn't even leave the stove top. But the bugger gets hot and I've already burnt my hand quite a few times. 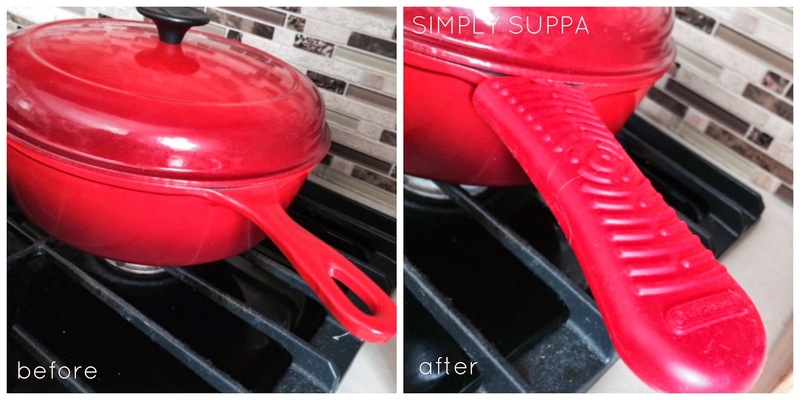 So, I finally got the Le Creuset silicone sleeve for the handle. Before you tell me I could have used another brand -- believe me, I've tried and they fall off. This one is made for my pot and it holds nicely in place, and now my hands won't get harmed. Check one. 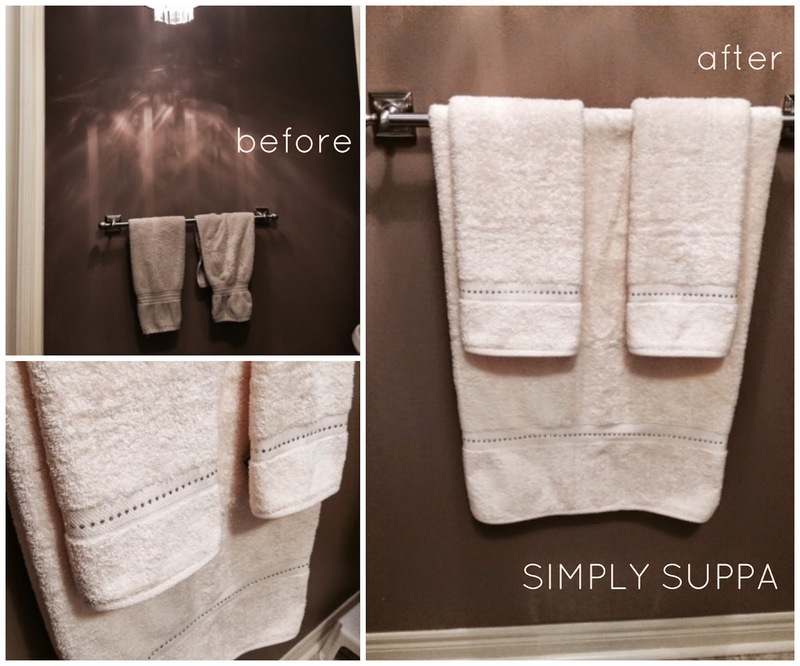 New towels in my powder room. See above photo. They were ratty and yuck, and if you could feel through a photo, you'd notice they were very well worn. I liked the taupe colour I originally had, but thought, "Let's brighten up the space!" The ivory towels I purchased are luxuriously soft and feature a Swarovski detail which I loved. It's nice to have the pretty stuff out for guests and these towels definitely wow. Check two. I have a very large, formal dining table and I could never find a runner long enough for the table. I've bought a few only to bring them home and realize they're too short and they look funny. When I found this taupe/champagne one, I loved it! It's a great addition to the table, and now it doesn't look so bare. Check three! It's funny how little things like this really make you feel better; it didn't take much -- not much time, not much money, and really, not much effort. But I was finally able to get three things done and just like that, I was able to give my home a mini decor make-over with a few simple purchases at Linen Chest. What's on your pesky to-do list? Disclosure: I participated in a Linen Chest blogger campaign and received special perks as a result. As always, the opinions expressed on my blog are my own.